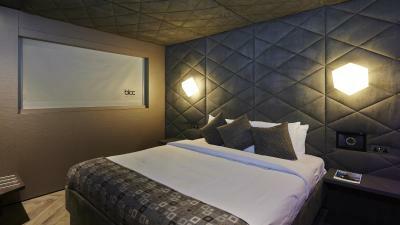 Lock in a great price for BLOC Hotel Gatwick - rated 8.6 by recent guests. Proximity to the terminal--just go down in the lift. Location excellent - adjacent to South Terminal entrance, although had some difficulty in finding the right entrance from the taxi (no signs?). friendly efficient reception. Room quiet. I have not a single fault - it was perfect and So comfy! Location within the airport especially if on an early morning flight. 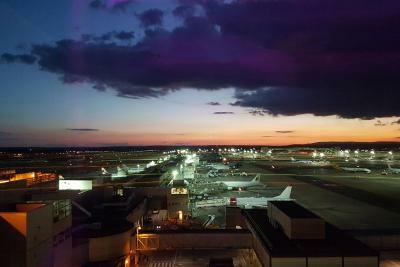 We used this hotel between connecting flights and was perfect, quick tram ride from north terminal (less than a minute and free) and we were there, Restaurants and bars directly below it, room was super quiet you could never tell you were in an airport, Will definitely use again when traveling through Gatwick. Small but very smartly laid out rooms and very good beds. Bed was comfy but we did not have any croissants. Would request hair conditioner to be also provided please for us girls. 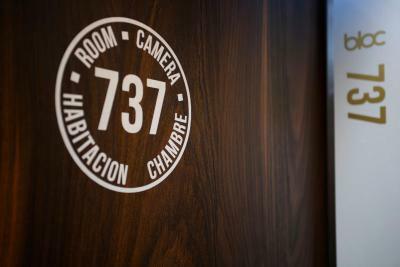 Fast Check in/out, comfortable beds, directly at the terminal. It is attached to the airport. Entrance is right next to departures. It met all the basic need of having somewhere to sleep before an early flight. The room was stylish and modern. The double bed was comfortable. 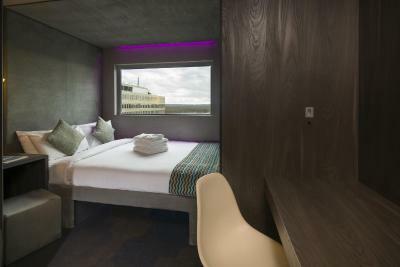 Offering modern, comfortable accommodation, BLOC Hotel is located within the South Terminal of London’s Gatwick Airport. Free high-speed Wi-Fi is accessible throughout. All rooms are en suite with a monsoon shower, and all have a king-size bed with Egyptian cotton linen. The lighting, electronic window blinds, climate control and flat-screen Smart TV can all be controlled with the Samsung Galaxy Tab found in the room. 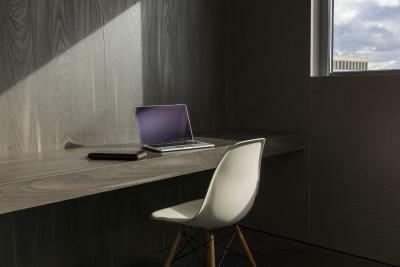 Guest rooms come complete with ambient Artemide lighting. 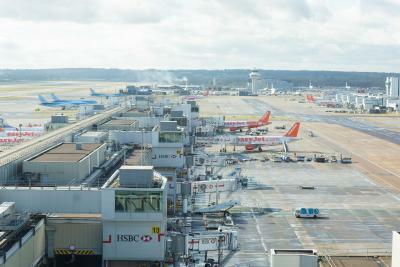 The shops and restaurants of Gatwick Airport can be reached in less than 1 minute on foot. The town of Horley is 2 miles from the property. Central London and Brighton can both be reached in less than 30 minutes by train from the hotel. 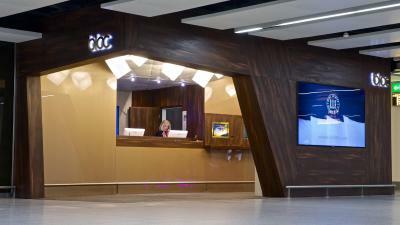 BLOC Hotel Gatwick has been welcoming Booking.com guests since 22 Oct 2013. 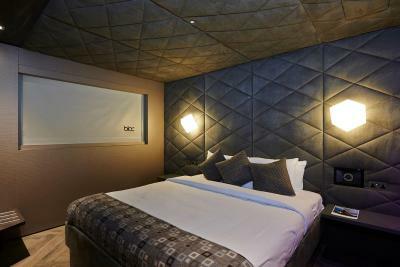 When would you like to stay at BLOC Hotel Gatwick? This compact yet stylish room has a king-size bed, en suite wet room with monsoon shower, a Samsung flat-screen LED TV, Samsung tablet controlling in-room electronics and free Wi-Fi. This compact yet stylish room has a king-size bed, en suite wet room with monsoon shower, a Samsung flat-screen LED TV, a Samsung tablet controlling in-room electronics and free Wi-Fi. This family room has a large window, king-size bed, en suite wet room with monsoon shower, a Samsung flat-screen LED TV, a Samsung tablet controlling in-room electronics and free Wi-Fi. Guests are kindly requested to inform the hotel of the ages of any children staying, before arrival. This can be noted in the Special Requests box during booking or by contacting the property using the contact details found on the booking confirmation. This compact yet stylish room has a king-size bed, en-suite wet room with monsoon shower, a Samsung flat-screen LED TV, a Samsung tablet controlling in-room electronics and free WiFi. Package includes secure valet parking provided by Gatwick Airport Limited. Guests can simply leave the car and keys at the Valet office in the South Terminal Short Stay car park. 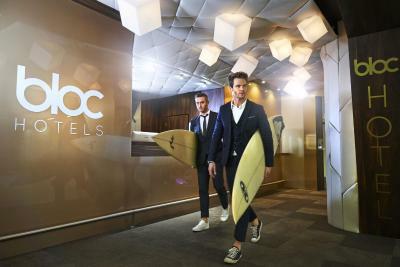 Bloc Hotel is a 2-minute covered walk into the terminal building. 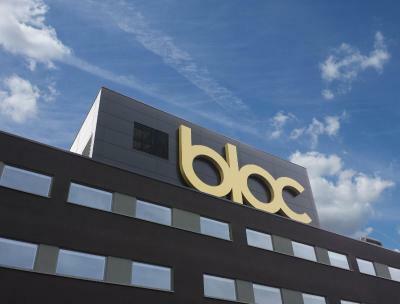 Bloc Hotel requires vehicle registration number and car collection date to confirm parking package. This room has bunk beds and no window. 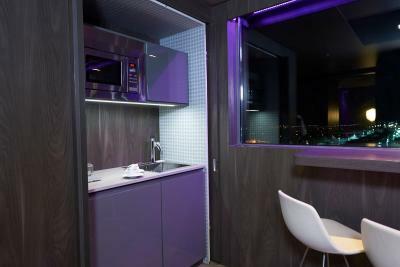 It features an en-suite wet room with monsoon shower, a Samsung flat-screen LED TV, a Samsung tablet controlling in-room electronics and free WiFi. - Samsung Galaxy Tablet controlling electronic window blinds, Samsung climate control and Samsung LED Smart TV - all from your bedside. 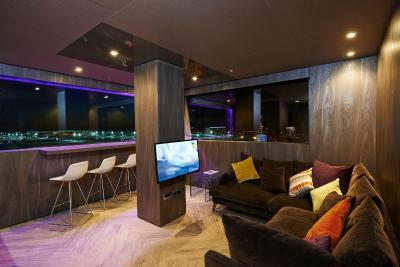 This penthouse suite on the 8th floor features a super king size bedroom with a separate lounge area and kitchenette overlooking the runway. 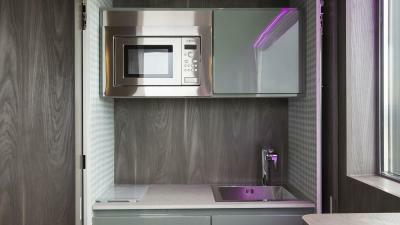 There is an en-suite wet room with monsoon shower, a Samsung flat-screen LED TV, a Samsung tablet controlling in-room electronics and free WiFi. 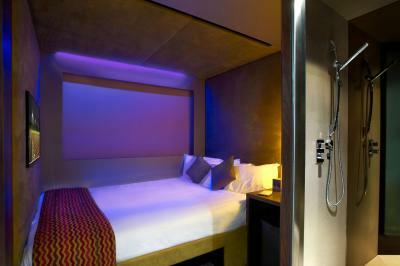 House rules BLOC Hotel Gatwick takes special requests - add in the next step! 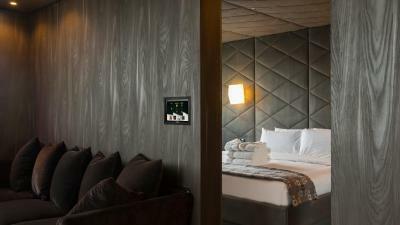 BLOC Hotel Gatwick accepts these cards and reserves the right to temporarily hold an amount prior to arrival. Please note, BLOC Hotels cannot accept deliveries of any kind on behalf of guests, due to security reasons. All deliveries will be returned to sender. BLOC Hotels accepts no responsibility for lost or damaged post. Please note that unless your room type says otherwise, parking is not included and is only available at an extra cost at Gatwick Airport short stay car park. Guests booking park and fly packages must provide vehicle registration number and vehicle collection date to secure their booking. Please contact the hotel directly with this information, using the details found on the booking confirmation. Secure parking is with Gatwick Airport South Terminal Short Stay; upon entering the short stay car parks proceed to Car Park 1 (Blue), Level 2 and report to Valet Parking reception. Car park postcode - RH6 0LL. Postcode accuracy on satellite navigation is variable, please follow signs on arrival at airport. Gatwick Airport Limited car parks are priced per 24 hour period or part thereof. Prices are subject to change. The number of “days” (24 hour periods) charged for when you pre-book is calculated on the basis of the car park entry and exit times provided when confirming your booking with reservations. However, if your actual entry and exit time changes from that specified and, as a result, your actual time in the car park runs into another 24 hour period over and above that booked, you will be liable for an additional day’s charge by Gatwick Airport Limited at the drive-up tariff. This is set out at the entrance to the car park, and this amount must be settled before you leave the car park. Please note that this applies irrespective of the reason why you are late back into the car park, unless your delayed return is caused by the negligence of the airport. The smell in the room wasnt that good as we entered. It smelled like crowded underground metro. The shower is too small and while showering the toilet and everything gets wet. Couldnt enter again without cleaning with the towel. The facilities, location and smart room was great. Better signage outside to direct you to the right area. The rooms were cramped for two especially with luggage to fit in also. Price could be a bit cheaper for what you get but you pay for the location. Can't think of anything which is good. The bathroom is under water after showering. Some of the bed legs were broken in the fold down bed.